The Indian comic book scene was made popular in the mid-1960s when The Times of India launched Indrajal Comics. 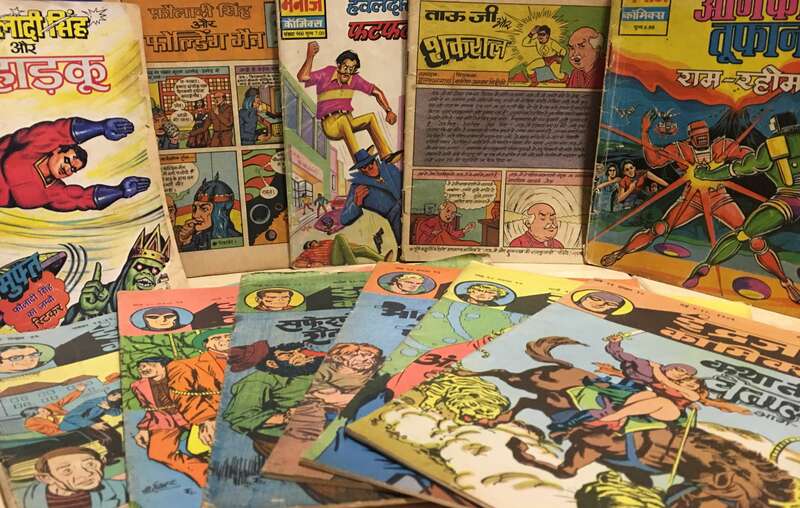 Over the years, the Indian comic book scene has seen artists like Uncle Pai and Pran Kumar Sharma, creating widely popular characters like Chacha Chaudhary, Doga, Nagraj and many others. Indrajal comics, introduced to Indian readers some western comic books such as Phantom (popularised as Betaal in India), Flash Gordon and Mandrake. Indarjal Comics’ publications of Phantom (Betaal), Flash Gordon, and Mandrake – 1983. Saving the planet from certain doom a countless number of times, stopping a bank robbery, and even settling age-old space disputes, these superheroes are seen flying around the Pencillati skies every day. Today, we pay our respects to these heroes that never age and their creators who live on through them.